Need a new Oxygen or O2 sensor for you car or truck? In this article I’ll explain what an oxygen sensor does and how much it costs to replace. Plus, I’ll clarify why some people call these Lambda sensors. An O2 sensor is designed to keep your engine running properly in changing conditions while you drive. Your engine control unit (ECU) uses information from the sensor to adjust the air fuel ratio. Simply put, this means the oxygen sensor helps your car’s computer regulate the amount of gas the engine uses. This is important because it will help you get better gas mileage and performance out of your car. On the other hand, accurate readings from the O2 sensor will help reduce the amount of emissions your vehicle produces. 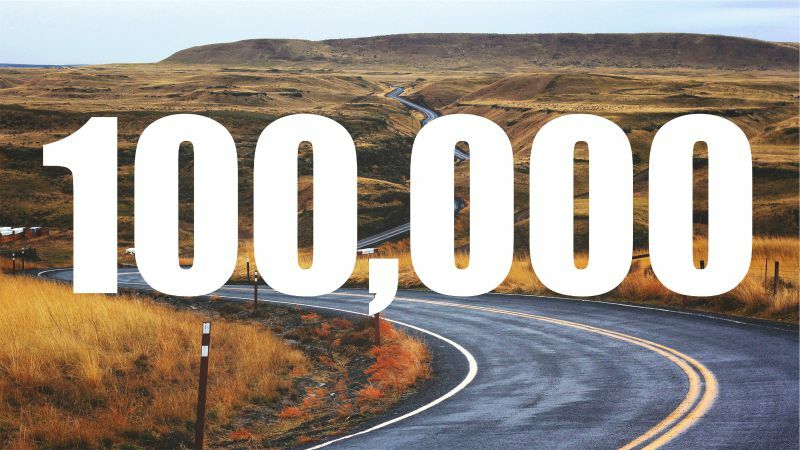 Most cars produced after 1996 have a minimum of 2 oxygen sensors installed – trucks and SUVs may have up to 4. If you ended up here because your check engine light is on, it’s likely that one of your sensors has failed. What Does an Oxygen Sensor in a Car Do? Oxygen sensors have one primary benefit to the average driver: better gas mileage. When your sensors are not working properly, the engine will default to a rich condition. Meaning, your engine will be using more gas than necessary. 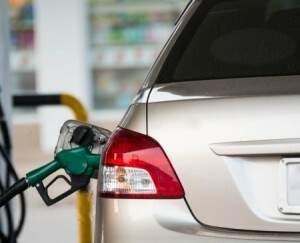 I don’t know about you, but I try to make my monthly gas budget stretch as far as possible. Especially when gas prices are constantly on the rise. However, if one of your sensors has failed it is unlikely that you will notice any changes in performance during your daily commute. Another benefit of properly working sensors is reduced emissions. When the engine is running rich – the default mode when sensors have failed – there will be excess hydrocarbons in the exhaust. Hydrocarbons are found in unburnt gasoline and excessive hydrocarbons can lead to catalytic converter failure – something we want to avoid. Besides helping the engine run correctly, oxygen sensors also help your car’s on-board computer verify that your catalytic converter is working properly. Most cars have a minimum of 2 sensors installed. The first is located near the exhaust manifold and the second is found after the catalytic converter. Your on board computer will compare the values between the two sensors. If there is little or no difference between the first and second sensor, it means your catalytic converter is not working properly. As a result, your car will turn on the check engine light. While this could mean you need to replace your catalytic converter, there is also a possibility that this error is due to a failed oxygen sensor. How Much Does it Cost to Replace an O2 Sensor? Even though oxygen sensors are an integral part of your exhaust system and highly technical, they aren’t that expensive. If you fancy yourself as a DIY mechanic you can find a sensor on online for around $25 and replace it yourself within an hour. I was able to replace mine in the driveway without even using a jack. Depending on the location of your sensors, it may be a more involved process. Before we go any further, I should point out that you’ll need a special tool to complete this project. Since the sensor has a long wire harness attached to the end, you’ll need to use an open ended socket. To make your job easier, I would suggest ordering an oxygen sensor socket. The socket has a small opening to allow the wiring harness to slide through. Depending on how much room you have to work with, you may not have enough space to fit your wrench and socket over the sensor. In this case, you’ll need an offset socket. When I was replacing my sensor I had to use an offset socket, and even then I barely had enough space to get it loose. Before you order a socket online, I’d suggest taking a look at your sensor and the amount of room you have to work with. However, if you prefer not to get your hands dirty to save a few dollars, I’d call your local mechanic for a quote. According to YourMechanic.com, dealer prices to replace an oxygen sensor range from $150 to $350 depending on the type of car you drive. 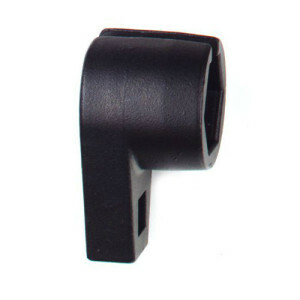 The wide range in prices is due to manufacturer parts prices. For example, a new sensor for a Mercedes Benz may cost as much as $242 where as sensors for a Ford sedan may only cost $55. 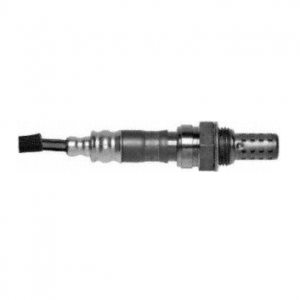 Today, heated oxygen sensors are designed to last around 100,000 miles. That means you hopefully will only have to fix this problem once in a car’s lifetime. However, due to the extreme heat and contaminants the sensor is exposed to, failure could happen sooner than expected. One of the most common problems occurs when the sensor gets obsured from silicone found in contaminated gasoline. When the delicate sensor is clogged it will stop sending signals to the engine control unit. At this point, the easiest fix is to replace the sensor rather than try and clean it. As I mentioned earlier, the result of a failed sensor will be decreased fuel mileage and cause the check engine light to come on. The average driver might not notice that their oxygen sensor has failed besides the check engine light. However, if you were trying to pass your emissions or smog test, it is likely that you would fail. That’s because it is an essential part of the emissions system. Your oxygen sensor is used by your car’s computer to adjust the amount of gas your engine uses. It is also used to verify that your catalytic converter is working properly. As long as your sensors are easily accessible, this is a project that a novice DIY mechanic could accomplish at home for around $25. However, some cars are more difficult to work on than others. If you cannot access your sensors without a full lift or special tools, you may need to take it to your local mechanic. Prices to replace the sensor range from $150 to $350 depending on the type of car you drive.